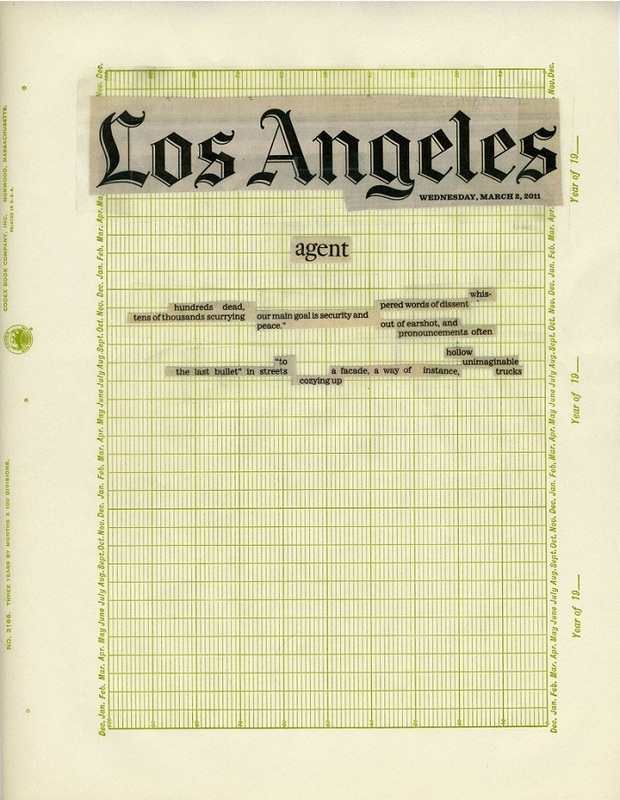 Front Page News involved a daily practice of making a cut-up poem using lines, spaces, fragments and clusters from the front page of the local newspaper from the city where I woke on that day. The project lasted for a year, from my birthday in 2011 until the day after my birthday in 2012. Jen Hofer is a Los Angeles-based poet, translator, social justice interpreter, teacher, knitter, book-maker, public letter-writer, urban cyclist, and co-founder of the language justice and literary activism collaborative Antena. Her recent and forthcoming books are available from a range of small presses, including Action Books, Atelos, Dusie Books, Insert Press, Kenning Editions, Litmus Press, Palm Press, and Subpress.